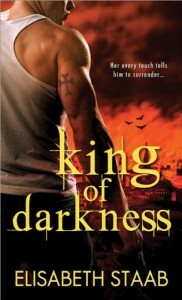 The King of Darkness is really three romances in one. Thad and Isabel are the main romance, then there are Tyra/Anton and Lee/Alexia. I really enjoyed all three romances being told, but my major complaint of the book was that they were all so likable I just wanted all of them to be focused on more. I feel like this book was just a set up for future books, and that the romance of Thad and Isabel got a little lost in doing so. Thad and Isabel are the main romance in the story. Thad has just become the king of the vampires and has a lot on his plate. He was told a prophecy that makes him want to find his mate, while at the same time fight wizards, who are the vampires sworn enemy. Having the wizards be the vampires enemy was so refreshing. Demons have been done to death. The wizards and vampires don't get along because the wizards drink their blood to steal their powers and use them for evil purposes. Thad's main goal is to stop the wizards from attacking vampires by finding their stronghold. They somehow keep finding vampires and hurting them to get their blood. We find out early on that they are after Tyra because of her unique abilities, but somehow they keep capturing Isabel. While I enjoyed the fight scenes between the wizards and vampires, I didn't understand why Isabel kept putting herself in danger. I wanted to shake her a little bit for her stupidity of not listening to those around her who told how dangerous it was for her. I realize that she had a big change in lifestyle, going from party girl to future queen of the vampires, but it was still a little frustrating to have Isabel not wisen up a bit more. The secondary characters were awesome, and honestly I hope all of them have their own books. Lee makes it known early on in the book that he doesn't like humans. That doesn't stop him from being attracted to Alexia, Isabel's best friend. Alexia gets hurt in a fight with the wizards, and when she needs help he volunteers to give her his blood to help save her. Watching him fight his feelings was wonderful, and I liked Alexia a lot. 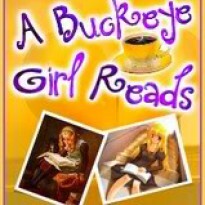 Alexia can't believe she likes someone like Lee and like with the story of Thad/Isabel I found myself wanting to see more of these two in this book. Tyra and Anton are the other couple in this book. Tyra is Thad's older sister and half human/half vampire. She has some really cool abilities like being able to teleport and do it while invisible. Anton is the perfect match for her, but again, their story was touched on just enough to have me wanting more of it. One of the few stand alone secondary characters that I absolutely loved was Siddoh. He has an on/off again relationship with Tyra and he's one of those Alpha males that is so alpha that you alternate between loving and hating them. There were two things that bothered me the most though about the romance between Thad and Isabel. They didn't get together until the last 5% of the book, and by then I was fully invested in the other characters and their stories just ended with what I felt like was no warning. The second thing that bothered me was why they got together after Thad lets Isabel leave because he doesn't want to pressure her into being his Queen. She gets sick and her friend Alexia takes her back to Thad, and she discovers something (this is slight spoilerish so just highlight the next part to see what the something was) (that she is pregnant) and then they both finally realize that they really do love each other. This bothered the crap out of me. It bothered me because Isabel was such a strong character that I don't know why she and Thad couldn't have found another way to realize their feelings for each other. It made the whole ending just seemed rushed to me. I guess my main problem is that I wanted more of these two together then what was given. Even though there were parts of this book that I found frustrating, I think that this series has potential. It should be interesting to see where the next books go.